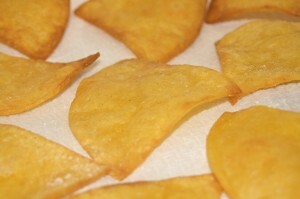 Today is tortilla chip day! Before you rush out to grab a bag of your favorite chips and think about what dip you’re craving most, try this homemade tortilla chip recipe – it’s easy and you may enjoy them better than what you find in a store. 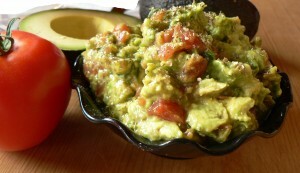 Of course, we have a dip to go with them; follow the second recipe for homemade guacamole. Stack desired amount of tortillas on a baking sheet, and use a pizza slicer to slice each tortilla into 6 pieces. Brush both sides of each slice with vegetable oil, and add seasonings if desired. Spread out on cookie sheet and place in oven for 6-8 minutes. Flip slices over, and place back into oven for about 5 minutes, or until golden brown (small bubbles may appear on surface, this is okay). Mash avocado in a small serving bowl. Add remaining ingredients and mix, leaving some chunks. Serve with homemade tortilla chips and enjoy!